So this weekend NASCAR returns to Phoenix International Raceway. Throughout the weekend I will be posting photos, doing videos, live chats, and writing blogs about all things NASCAR to let you know about some secrets that go on behind the scenes at the track. I want you all to get a feel for the teams and to learn little know facts about my beautiful hometown track Phoenix International Raceway. We have the most wonderful weather here in Phoenix this time of year! The weather is predicted to be beautiful and sunny! We are looking at 80’s during the day and 60’s at night! With that in mind you may want to bring a few things with you. I suggest a hat, comfortable shoes, sunscreen and water. I have ordered up some beautiful Phoenix weather for everyone! As I get ready I want you to know that I personally will be taking a lot of videos and pictures. So if anything be sure to have your phone and camera charged! You never know when you re going to run into a driver or just see something unexpected at the races! I go through many recharges in a day with my phone and cameras. 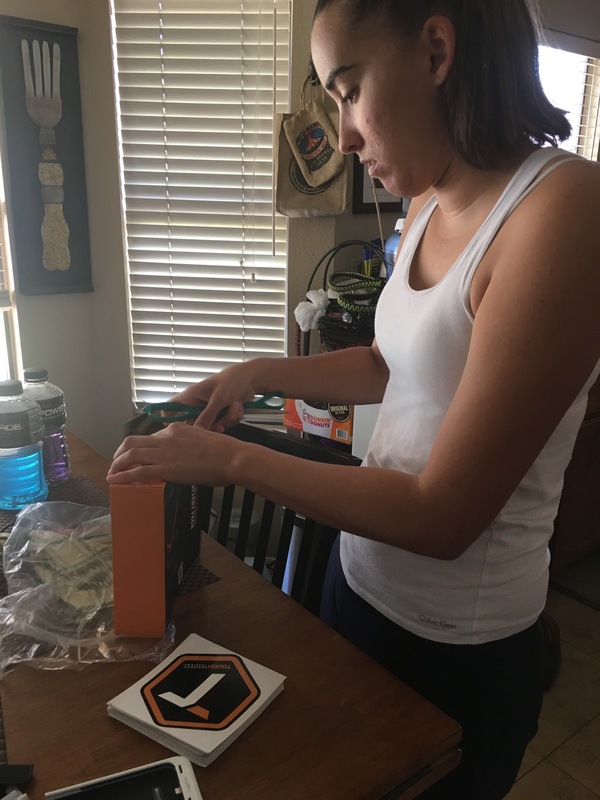 I found a wonderful company that is called Tough Tested that is my GO TO for keeping my phone, laptop and camera charged! The best thing is it is SOLAR!!!!! Tough Tested products can be found at Lowe’s, Cabella’s, Love’s, Pilot/Flying J, Meijer, O’Reilly’s Auto Parts, Staples, Micro Center, and Dunham Sports. I found them in my area at Lowe’s. Tough Tested is available at a variety of retail stores at a great value! Tough Tested has a great blog on picking the best charger for your phone, iPad, computer or camera. http://toughtested.com/blog/how-to-pick-the-best-charger-for-your-smartphone-or-tablet/ Questions the blog answers is why doesn’t my phone fully charge after being charged all night and why does my phone get hot while charging? Their answer, “As it turns out, all three questions can be answered by one simple truth: Different devices have different charging circuitry.” So please take a look at the Tough Tested blog to be sure you are purchasing the correct device for your video product. I love using the SOLAR charger!!!! With all the beautiful sunshine in Arizona it just makes compete sense to use the sun. When at the track and racing myself we rarely have access to utility outlets. 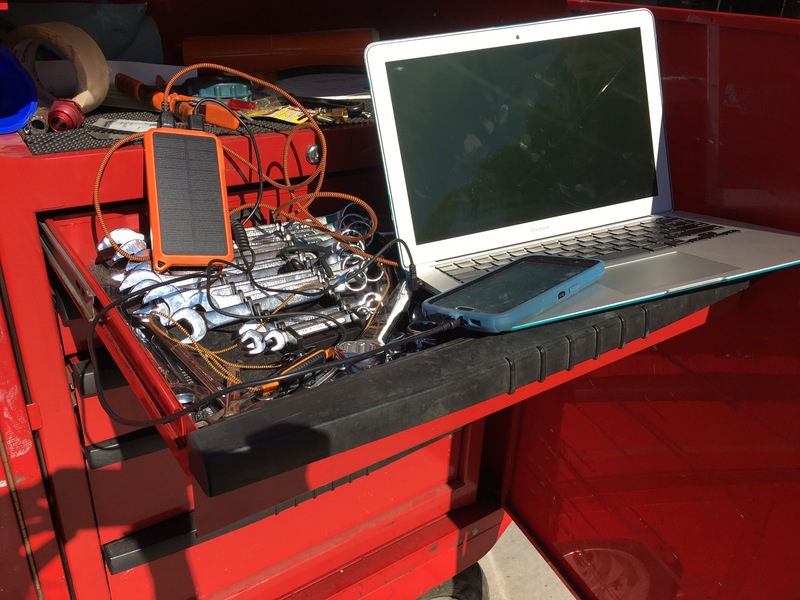 So we use my ToughTested solar chargers to charge our laptops, phones, iPads and GoPros. 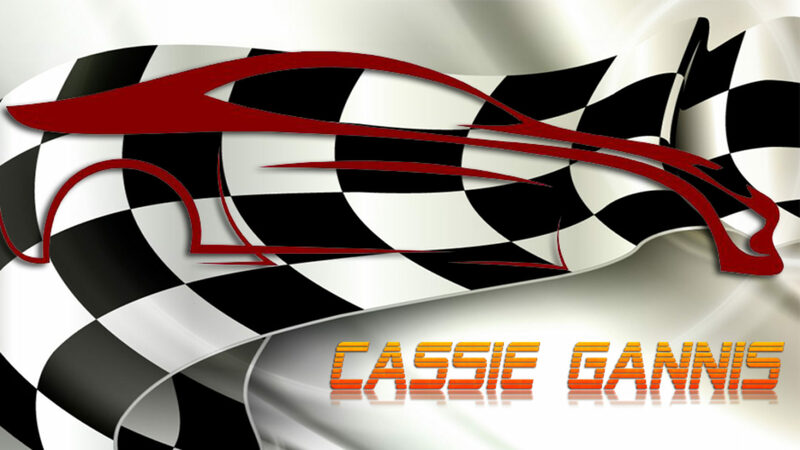 This weekend for the NASCAR races I will doing updates, posting pictures and blogging myself about the racers, track, teams and all things NASCAR. So I will need to have access to recharging my video equipment numerous times. 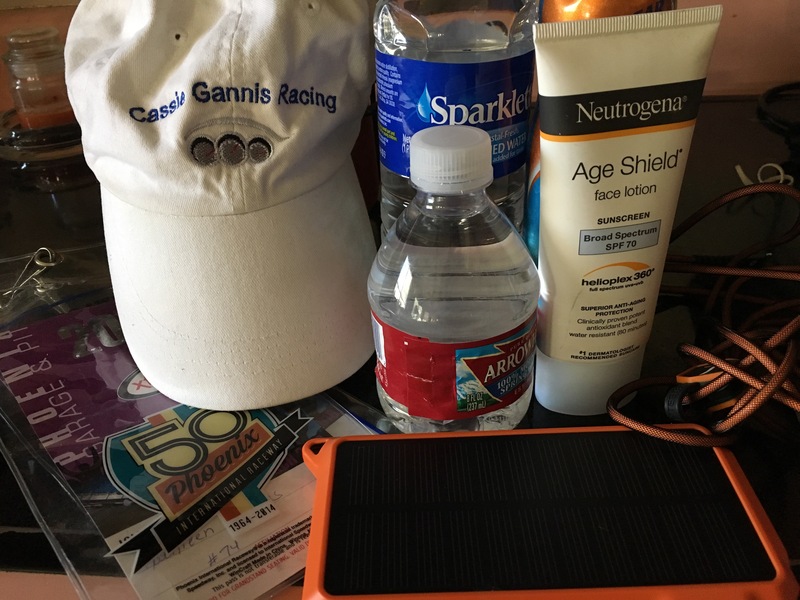 I have already charged by backup solar chargers in the sun and they are ready to go for when I need to recharge at the track. Remember to stay hydrated, wear sunscreen, wear comfortable shoes and bring extra phone/camera chargers because you WILL need them! So get ready to have fun and enjoy your day at the track!!!! Let’s go racing!!!!! 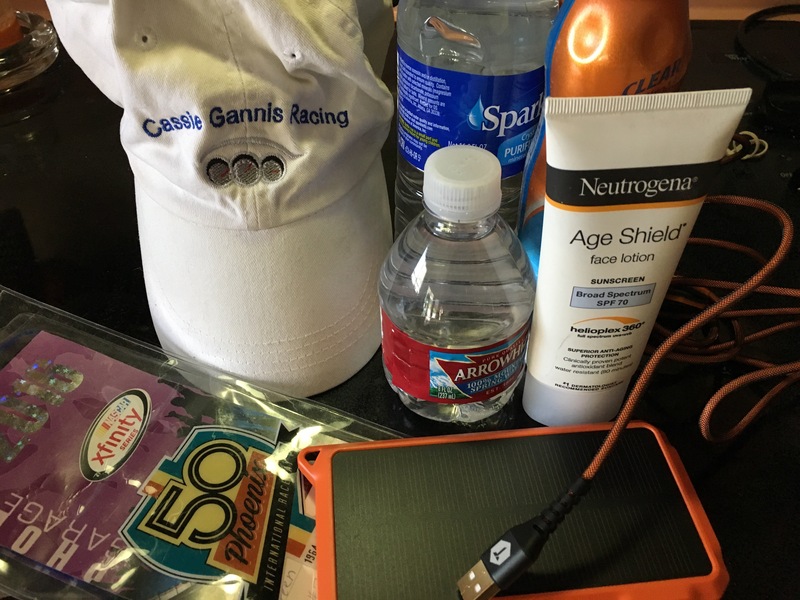 Be sure to take a hat, water, sunscreen, & ToughTested battery charger. Look for more weekend blogs to come!!! !